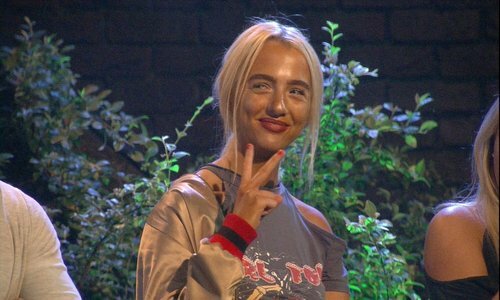 Megan has been EVICTED - pleased or disappointed? View Poll Results: Megan McKenna is the SEVENTH housemate to leave the house - pleased or disappointed? Well Ferne was right... Still, should have been Jeremy or Steph. Bloody fuming. At least four more days of Jez & Steph. I love an unexpected result so I'm pleased. Who are voting for Steph and Jeremy? Disappointed. Should have been Danniella. Disappointed. Jeremy should have gone. Disappointed. She deserved to stay in the house. Last edited by Calderyon; 22-01-2016 at 09:40 PM. Extremely disappointed. Should've been Steph and Jeremy in a double. Last edited by Jason. ; 22-01-2016 at 09:39 PM. According this Poll - NO ONE wanted her out - esp compared to Steph - WHATS GOING ON? how did this happen? Urgh more Steph - how could anyone want to save that. Disappointed, i actually thought Dani should've gone as she's not given much to the house. Who votes for Steph/Jeremy? WHO? I dislike Gemma and would have loved to see her go...but in all honesty it should've been Daniella, not Meghan. Daniella hasn't really provided anything as far as entertainment (good or bad).